A tourist on African tour will have to obtain visas to many countries visited, which will be a costly and time-consuming affair. To somewhat alleviate this problem, new cross-border visas have emerged. Recently I wrote a blog post on the East African Tourist Visa (covering Kenya Uganda and Rwanda), There is also UniVisa between Zimbabwe and Zambia (also known as Kaza Visa), which was launched in late 2014. UniVisa will be valid for 30 days and allows multiple entries between these two countries. Only certain nationals are eligible for Univisa (listed here). 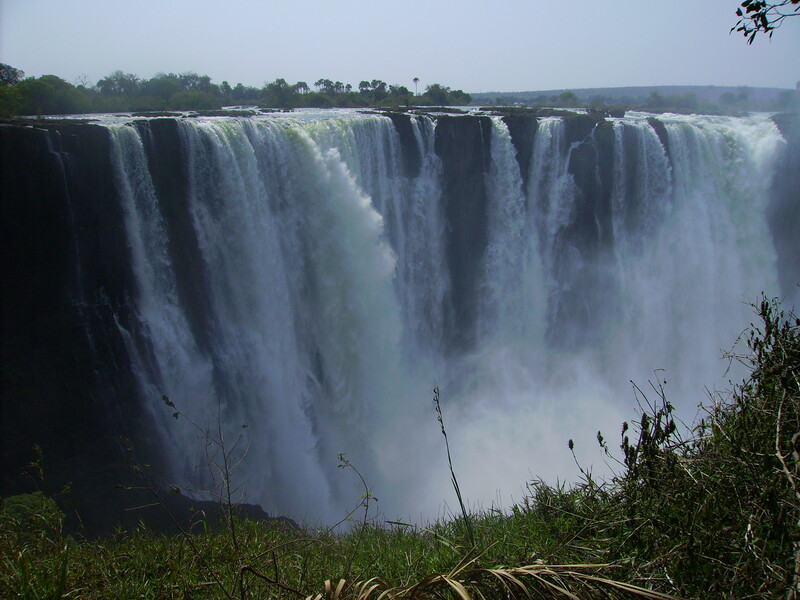 UniVisa is especially handy for visitors going to Victoria Falls, as travellers can now easily cross the border without having to pay for two separate visas. However, the visa is still not available from most border posts and some international airports. The cost of UniVisa is 50 USD, which is a reasonable price if visiting both countries. The cost of Zimbabwean tourist visa will be at least 30 USD. However, for UK citizens a Zimbabwe visa will cost at least 55 USD, so for them UniVisa will always be a preferred option, even if visiting Zimbabwe only. Zambian single entry visa will cost at least USD 50, therefore a tourist will not lose money by getting UniVisa, even if not visiting Zimbabwe, however the Zambian single-entry visa has a longer eligibility than 30 days of UniVisa. Some nationalities, mostly African, can visit either or both of these countries without needing a Visa. UniVisa can be obtained on arrival at Lusaka, Livingstone, Harare and Victoria Falls aiports, and Victoria Falls and Kazungula border posts. On the contrary, UniVisa is according to this information, NOT available from international airports of Ndola in Zambia or Bulawayo, Zimbabwe. Those arriving to these countries by land will most likely also be left cold. Since Victoria Falls border post connects Zambia and Zimbabwe, it is rather useless for obtaining UniVisa. Kazungula border post connecting Botswana to Zambia is thus the only border post from a third country where UniVisa can be obtained. The lack of availability from border posts is the biggest disadvantage of UniVisa, but this is expected to change in the future (if not already, my information may be outdated). To make things worse, a tourist cannot enter through a border posts (apart from Kazungula) even by pre-obtaining UniVisa. The visa allows re-entry after a day trip to Botswana through Kazungula border post, but otherwise does apparently not allow a re-entry from a third country. This is another downside of the visa, even if not affecting most tourists. Other countries may join the UniVisa program in the future (Eg Botswana, Namibia, and Angola), although visitors from most western countries do not need a visa to visit Botswana or Namibia. UniVisa, as well as the East African Tourist Visa, are still in their incipient phase, but are good indicators that this kind of co-operation is possible between African countries. Despite some flaws, these visa types are a welcome addition and will hopefully develop in the future to better match travellers’ needs and preferences. This entry was posted in Tourism, Zambia, Zimbabwe and tagged Safari, Tourism, Univisa, Victoria Falls, Zambia, Zimbabwe.